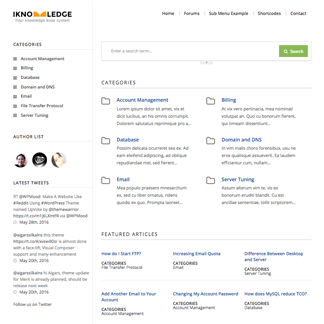 iKnowledge is a slick knowledge base WordPress theme. iKnowledge features a fresh and clean design, focusing more on the content. The homepage of this knowledge base theme is fully widgetized, which means you can control the elements in the homepage from WordPress widget area. You can also control how easy to modify the colors and typography right from the theme options panel, which by the way is powered by the amazing Redux Framework.